Nevertheless, despite the paucity of punctuation, it is another of Tasmania seemingly endless beautiful views. Who would not want to live here, in such beauty barely a half day walk from a capital city? Thirty or so kilometres to the south west lies the town of Huonville, which sits astride the Huon River close to it source. We’ll come to her shortly. The hills and rolling countryside between them form the blunt end of a peninsular and the road that leads south from Kingston runs along the water’s edge until it reaches the pointy end where the estuary greets the Huon River. If you could see far enough over the horizon from this village called Verona Sands, the icy Antarctic continent would be revealed three thousand kilometres away, roughly the same distance as the other end of Australia in the north. 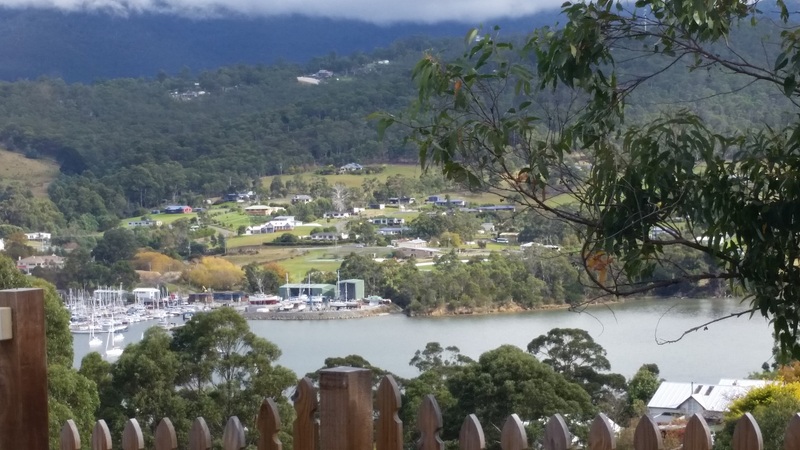 Leaving Verona Sands and following the road up the river, one finally arrives in Huonville. It is true that is taking the long way round to arrive in Huonville but if I just tell you it’s worth the drive, I am criminally understating the case. Just the thought of doing this drive again gets my heart beating a little faster, a subtle and persistent urging to see it again, like the longing to return to something or someone who refuses to be forgotten. Beautiful villages are spaced every few minutes, with evocative names like Snug and Margate and Kettering, Oyster Cove, Woodbridge and Flowerpot, always the pervasive, insistent beauty of the estuary pulling you towards it, demanding your attention like an adoring child. 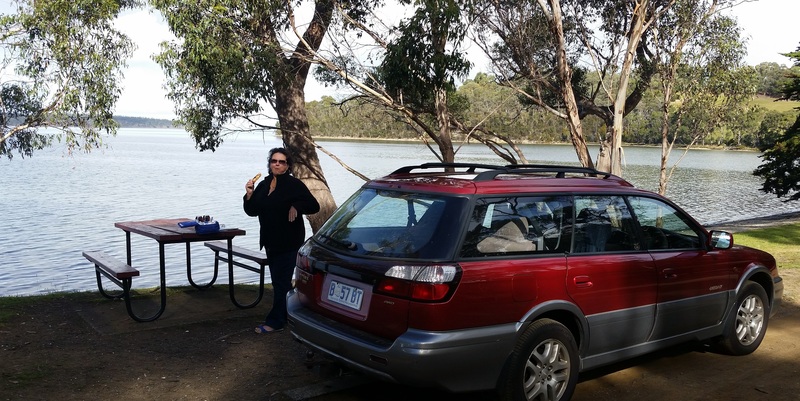 It can take a very long time to make the fifty kilometres to the end of the peninsular, only to begin again this adventure facing north, unable to resist the temptation to stop and stare, along the banks of the equally beautiful Huon River. We paused, endlessly it seemed, every village offering us something different to the last, but always the magnificent Derwent estuary provided the backdrop, the presence, the mood of this area. This day, it is winter, the sky is often cloudy, even at midday the air is quite cool, the traffic is almost non-existent and there are few visitors, on the roads or elsewhere. Outside the villages there is no one to appreciate all this, but us. Lunch by the side of the road is different here. Not for us the noisy intrusion of traffic, only the lap of water and a smattering of bird song. That’s the one thing that seems in short supply in Tasmania, birds. It’s not total absence of course, but there are certainly fewer than I expected for such extravagant habitat. One is hardly surprised or indeed would expect to see, much industry in an area of such beauty but what there is here, unsurprisingly is based on the abundant fishery that dominates the peninsular. Large scale, but I understand mostly low key, holding, breeding and processing of high value salmon shows up in some of the most weather protected areas. Somehow they do not intrude on the peaceful atmosphere and if anything, give a feeling of quiet prosperity and orderly integration of the needs of the locals, both human and otherwise. 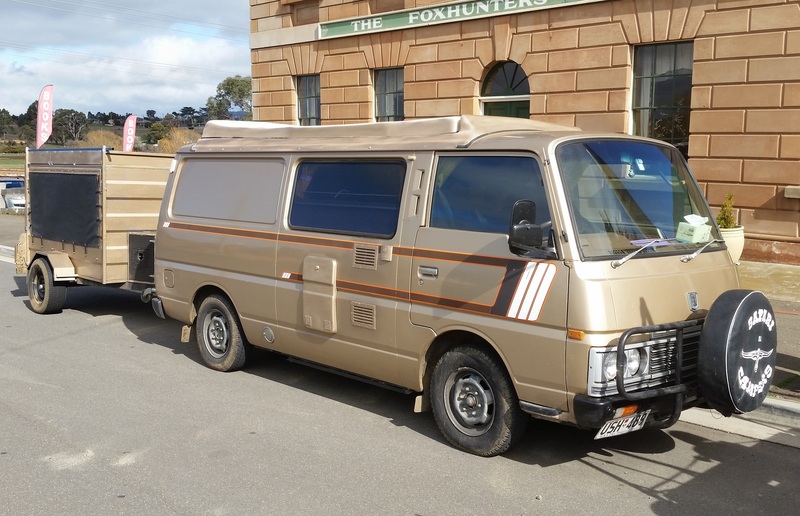 We stopped for coffee in Cygnet, a little town made almost famous by the TV show Gourmet Farmer and while pleasant enough, seemed to be, well, not special. That is probably not fair considering the day was near to end and we were still disoriented by the sheer scale and impact of the beautiful villages and coastline so we should plan next time to spend a little more time appreciating Cygnet. This particular day will go down for us as a special. After a brief stop in Huonville, which is itself a bustling small town with a personality, late afternoon saw us pass through our starting point in Kingston for the ten minute drive home to Sandy Bay. I did not believe I could take a more touching or memorable drive and it turned two weeks out later, I was wrong. Something more was in store. I should not have been surprised, this is after all, Tasmania. A comment is really appreciated. I will never forget taking our 55 foot yacht , Kontimpossible right up the Huon river and anchoring at Huonville. Then spending a day at the wooden boat building school on the riverbank at Franklin. As you say breathtaking scenery. We talked about how wonderful it would be to sail/cruise these waters, the Huon, Southport and Recherche Bays, Port Esperance, there are so many we’d love to explore. Maybe one day, stranger things have happened. All set for Dec?